Genki Husband as many of you know used to love bacon. I on the other hand am one of those people that never really cared for any meat product, so I’ve probably only had it a handful of times in my life. 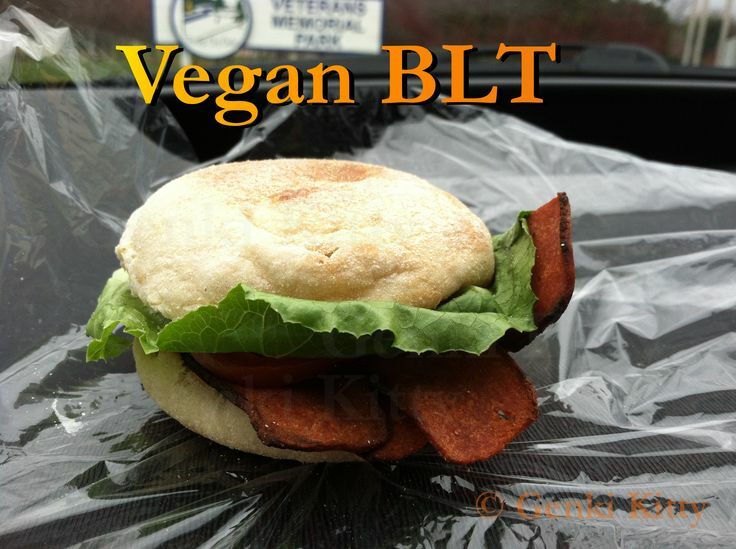 This last week we purchased a box of pre-made vegan approved Lightlife bacon strips. Actually the strips looked more like those dog treats “Beggin’ bacon strips” by Purina. ( Do I know how to sell things or what? LOL) There is no apparent smell, thank goodness. Normally one package sells for around $3.69 in our area but since the product is perishable it does go on sale for less. These pre-made items along with other vegan approved options are available in the produce section, normally near the tofu and salad. Anyone remember these things? We found this at my parents house from the caretaker who had KFC the other night. 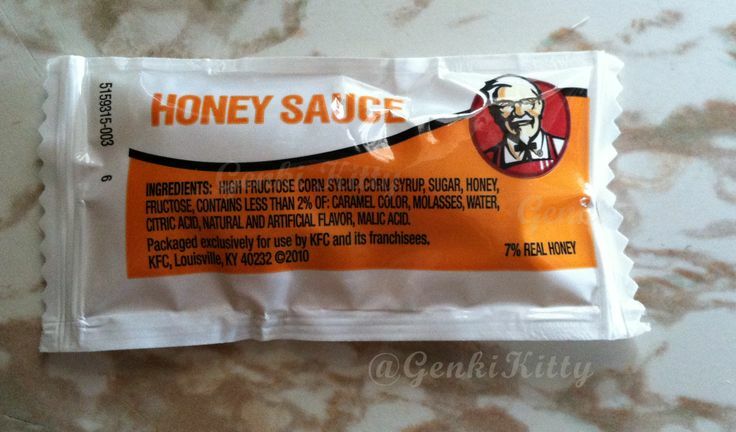 It’s been more than 10 years for us I think… The honey packet contains only 7% honey! No wonder we used to love these things when little. It’s all high fructose corn syrup! Never going to happen with my children. Thank goodness the USA states all ingredients to warn parents now. These are both vegan! That’s Meijer Apple Pie (yep, accidentally vegan!) and homemade vanilla banana cupcakes with white frosting. We were so hungry today after all the hard work we ate these for a dessert. 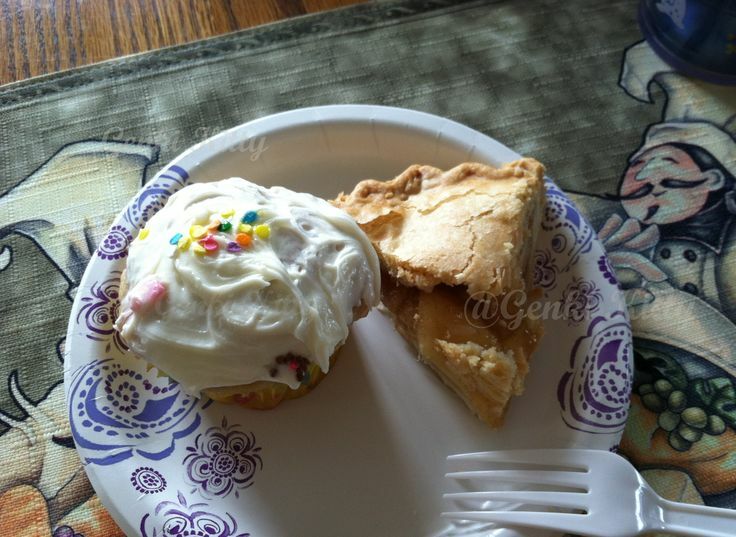 mmmmm The pie piece was smaller than the cupcake – moderation is key. You can eat whatever you want as long as you are active and eating smaller amounts. 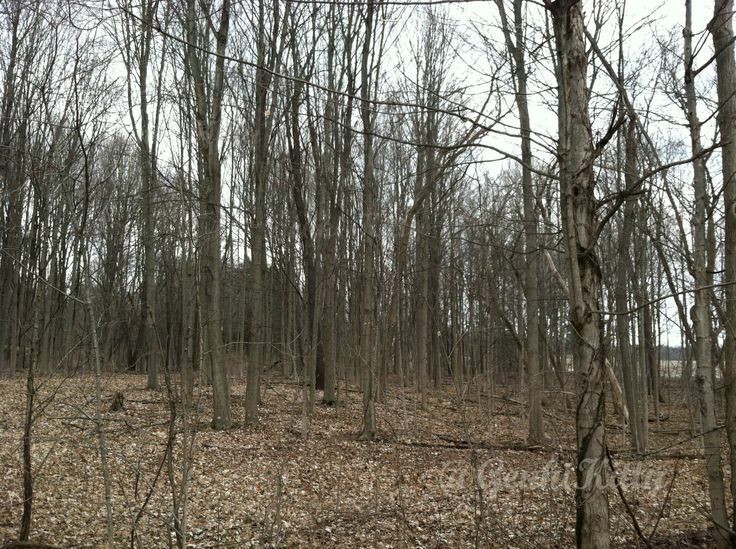 Coming into Michigan’s Spring, the forests are still bare but it has it’s own beauty I think. We know these trees provide shade in the summer and houses for the furry friends all year around. These are hard working trees. It’s Easter time in Michigan. 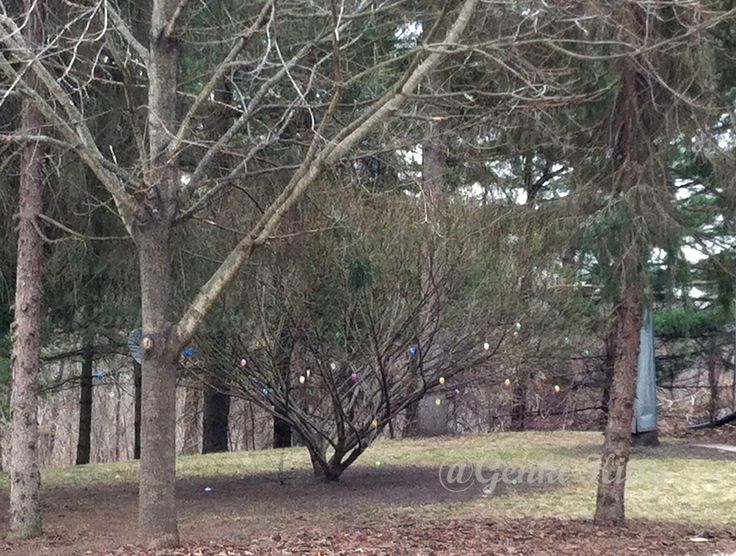 These are basic plastic eggs that people tie to trees as a festive addition to their yards. 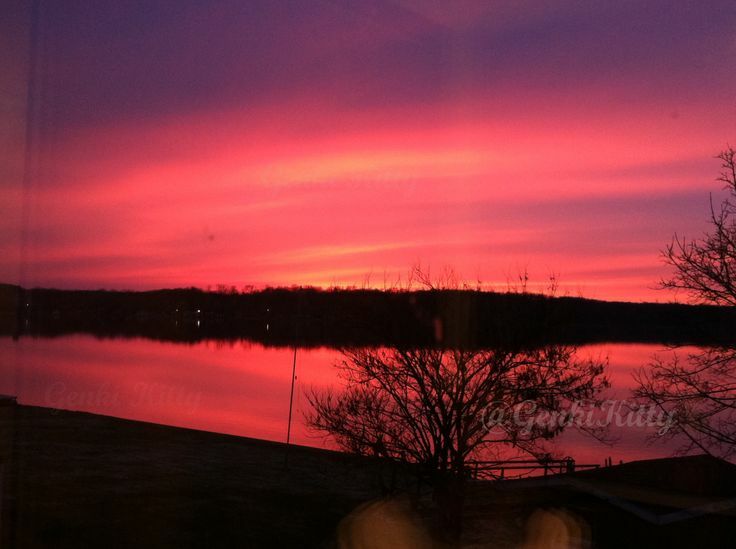 Sunset in Michigan in April 2014. The whole sky is a gorgeous purple and pink. It is so surreal to see this happen before your eyes. It’s like magic! Dinner: For some reason I can not find the recipe. I had a large plate of mixed organic baby greens with some leftover grilled eggplant and zucchini. Additionally I added a side bowl of vegan baked beans. It was so tasty I wanted more. Mmm Now I am thinking about it again. 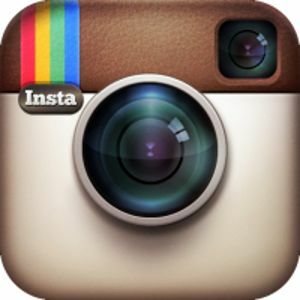 If I find the photo I will share. Exercise: A ten minute walk and watching my grandmother then entire day. Yep, we at a ton today but nope we aren’t guilty. When you learn to moderate what you eat, you learn that portion control is very important when you want to have something less healthy. For instance, we did keep active the entire day and we also ate a light dinner to compensate for the snacks. It’s okay to do this a few times without having too many issues. As it was hot this week, the husband and I took to the beach a few times to cool down a bit. It’s funny to note, even though you may live on a lake the pools will still be busier than the lake on hot days. Hardworking hubby and I decided we needed something fun to eat while at the lake. Since we live seriously in the middle of nowhere, finding options is a challenge. Then I found it! 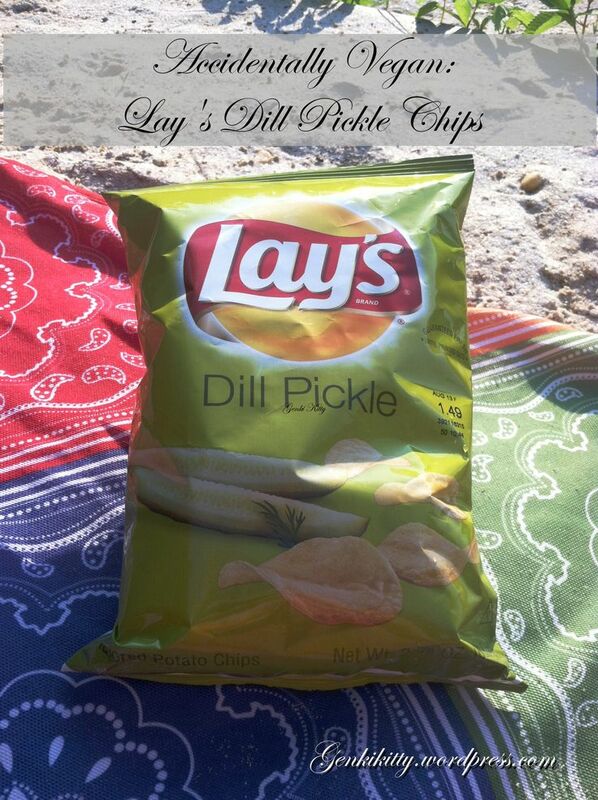 Two of my favorite childhood snack foods combined: Dill Pickles and Potato Chips. Yes, yes yes! Husband was a bit overwhelmed with all my excitement and cheering in the store. Upon opening the bag, I was amazed the air that seeped out smelled of delicious dill pickles! I was skeptical but the chips really did smell great. Unfortunately the taste wasn’t as strong as I would have preferred. Remember though I do love dill pickles and have drunk the juice on occasions. Hey, I’m German so I get a free ride on this one right? Husband backed me up on this one and agreed while there was a slight after taste of dill it was just not as much as expected. There is a dill flavor though. The entire bag of 3 servings disappeared in about 2 days though, so I guess the taste made the cut. If you are expecting a total dill pickle explosion it’s not going to happen but there is a nice, gentle after flavor left in your mouth for those not as much committed to pickles as me. 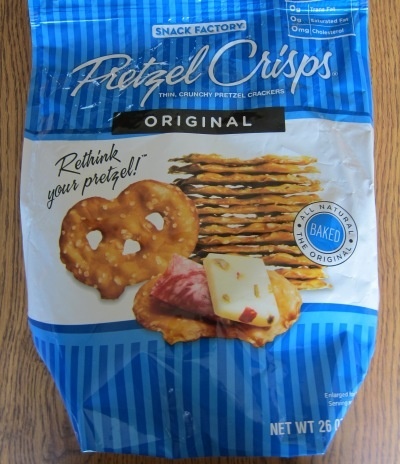 Normally we do not purchase potato chips (besides PopCorners) but we do occasionally and might think about getting this flavor again if we see it. What’s your favorite Potato Chip Flavor? Nondairy milks are every part of a vegan as dairy milk is to carnivores; it gives calcium and protein to make the body strong and healthy. Additionally for vegans can rejoice that a lot of brands actually contain added vegan approved B12, which can be hard to find outside of any animal flesh (meat) source. My favorite brand is hands down Trader Joes’ Almond and Coconut Milks. Not only are these two kinds reasonable priced but they are also low in calories. In my opinion, when a nondairy milk has a ton of calories it is not authentic and contains a lot of additives that no one should be drinking. 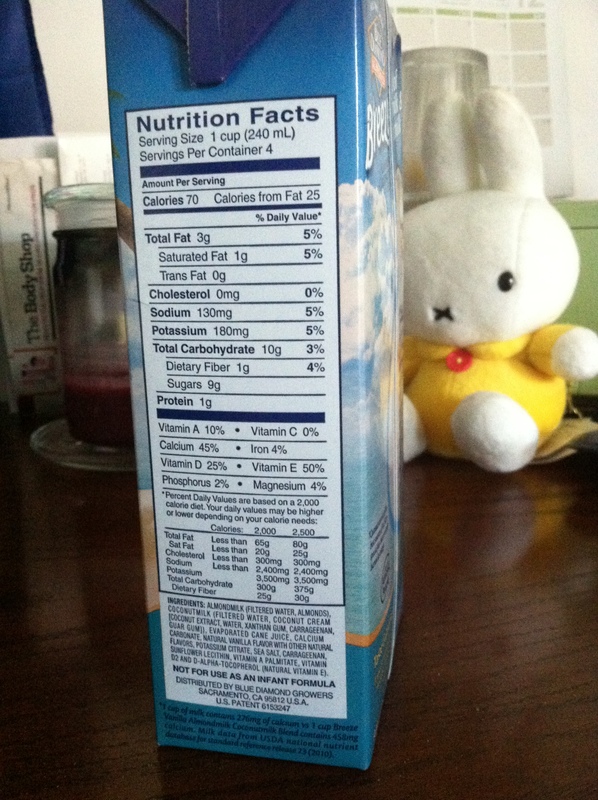 This excludes soy milk since it naturally contains more calories than its competition. 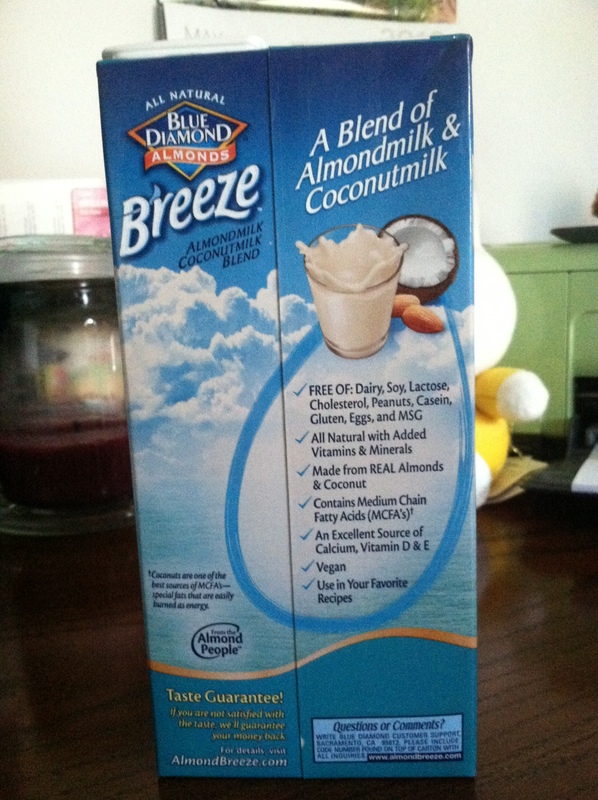 The darling man loves to have coconut milk and I prefer to have almond milk – it’s always a toss up in our household. Coconut milk (not from a can) to me is a bit thinner in consistency, a bit like skim milk. Almond milk is thicker and has a richer taste without the sweetness as coconut milk. Both are favorites but let’s just dream about the day when we could have both and not fight in the grocery store over which one we wanted to purchase this week. (Usually we end up with both.) Ta-da! Blue Diamond has already done it! And to add to that, they made it vanilla flavored! At first I was almost not sure if I wanted to taste this little treasure. Firstly I wasn’t sure if I could find it at my local grocery store, since I didn’t want to get hooked on something that was not available at all times. Secondly I didn’t want to be disappointed if it was not what I was expecting. Thankfully it was far from disappointing, it was delicious! Seriously, if you haven’t had it yet, it’s just the best blend between the two favorites adding together the best of both nondairy milks. It’s medium thickness goes well in cereal without making one feel as though missing out and tastes rich and creamy like almond milk. Best yet, it is only 70 calories per one cup! Yes, yes, and yes! As you can tell, I’m totally into this new nondairy milk and I would suggest it to anyone looking for something that was first created in my dreams. Too bad I couldn’t get royalties but as long as I get to have this in my kitchen every once and a while I’m good to go. What’s your favorite nondairy milk? Hello Everyone from the Sunny State… Um, Ohio? It’s a beautiful 93F/33C! I absolutely love this weather! Today I have gone on a mile walk with the furry baby before the sun got too powerful and went to the gym. There’s something about the sunshine that makes a person happy and want to workout, oh yeah it’s called Vitamin D.
Today I managed to run for about 3 miles in under 30 minutes – hooray! Normally I take the first mile rather slow and then work my way up. Today the last mile was less than a 9 min/mile! *dancing for joy* I’m trying to increase my speed since I have slowed down my pace drastically in the last few months for some reason. But, that just means I have something to work on right now, right? 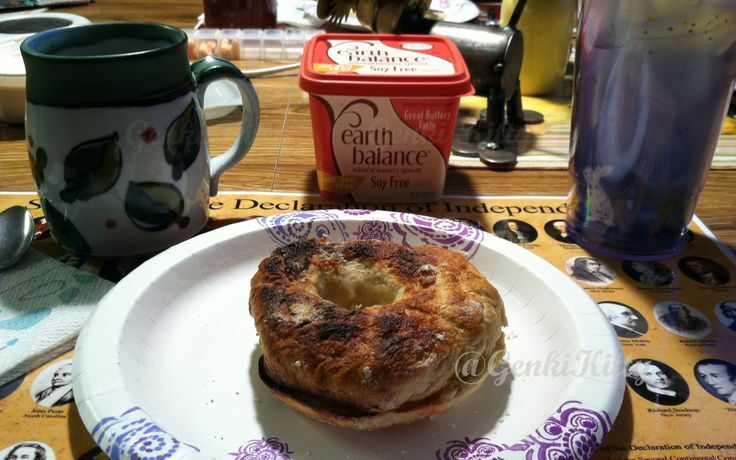 So, after I walked with the furry baby, a 1.5 hour workout (weights, sit-ups and run) and finally a walk to and from gym – I was ready for a nice little snack. My stomach was seriously growling so I knew I had to eat something and pretty fast. Haha I love that when it happens because it means I did what was to be done at the airport. Hooray! Thankfully I had a little bag of (don’t judge me) of sweet potato chips leftover from last night with the hubby. It was less than one serving but was a sweet blessing to my irritable stomach. 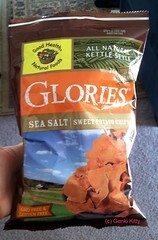 The lifesaving sweet potato chips were (yep, past tense) called Glories Sea Salt Sweet Potato Chips. This bag was kettle style for anyone who can understand the difference. My only opinion about the “kettle-style” option is that the chips come out crispier than normal but that could just be me. Some people say that these are less oily too but I can’t be a good judge of that unless I directly compare the two. If anyone has done this, let me know the results. So what I am certain of is the taste and the overloading crunch that could be heard miles away. A crunch that was superior to all others, not to be confused with the type that is stale and hard. That’s a whole different story. Thankfully I found that there was a great crunch, a little salt flavor that fills in that need for something salty after a hard run and finally a sweet flavor that tricks your brain into thinking you are having sweet and savory at the same time. I absolutely love, love these chips! They were the perfect snack at night and also after a hard speed run. 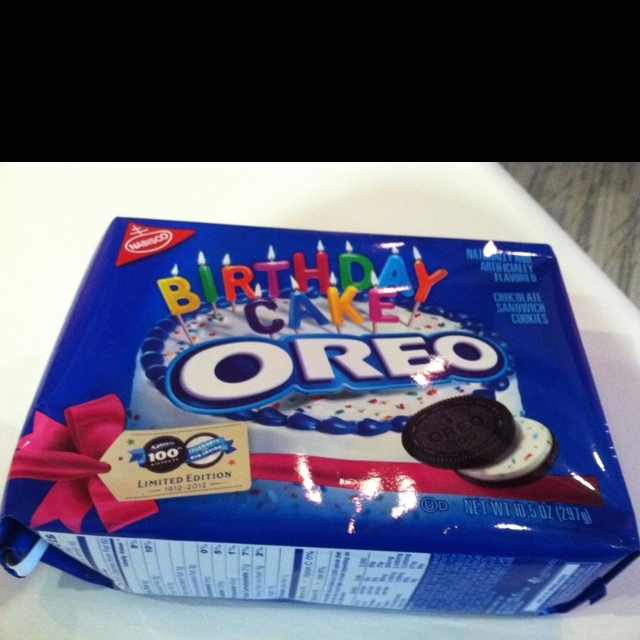 Now I am going to really make you jealous… Guess where I got these little beauties? You seriously won’t guess it. 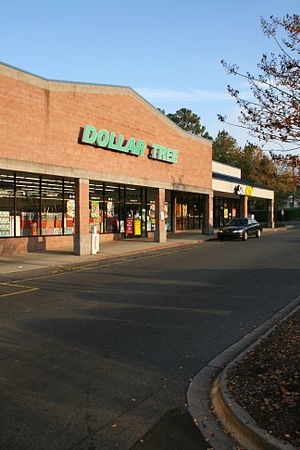 The Dollar General Store! Seriously I did! So exciting! The husband and I were out shopping for a cheap container for him to take a pasta on a business trip and we found this in the food aisle as we were walking through it to pay for the box we found. Normally we do not purchase food from this store but I couldn’t resist. 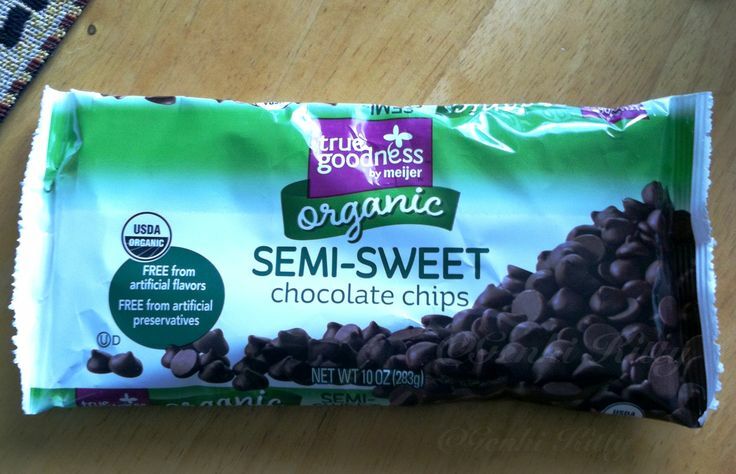 So, we paid $1.00 for the entire bag of 2.5 servings. It was an amazing find. So in the end it was inexpensive, accidentally vegan, healthier than normal chips, and made with health conscious ingredients. It just goes to show one can eat healthy, eat vegan and still find inexpensive choices all around. Most of my favorite finds while living in America would have to be from our Asian supermarket. From time to time the market will carry different products on the market that can not be purchased elsewhere. The nice thing about Asian food is that most of it is actually accidentally vegan- shoppers be cautious though of MSG laden foods. 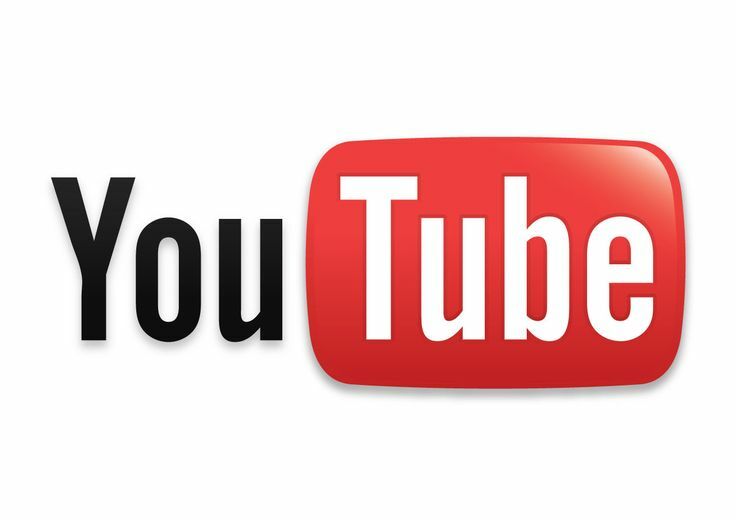 MSG was created in Japan and is very popular there still today – it is also popular in China and especially Thailand. Other than hidden ingredients, there is nothing really to worry about when testing new Asian foods. Many people fear contamination or ill made products but what I tell my husband all the time is that Asian manufacturers are very careful of their products. The stuff we hear about in America most of the time deals with American companies over in China trying to save money and cutting proper procedures for producing food products. Just use common sense and if you have doubts the product is not fresh or good, move on to something different. This is how I find many products such as Greenmax Cereal which I love! 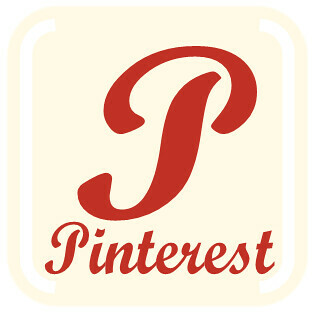 The ingredients are very common and can be easily found in most of the products. These are mushrooms, glycerine (which is questionable if it’s animal, plant or chemical derived), soy sauce, soy bean oil, five spice powder and potassium sorbate. Simple, right? There is always a question about glycerine but for me, I can’t speak or write Chinese to ask the company what it is derived from so I’ll have to assume they follow most other Chinese companies and use the non-animal derived kind. If anyone knows, please let me know. **Update on the feline furry baby: So apparently her idea of getting me to move my foot off a chair she wanted was to lick it. Where do they come up with these things?